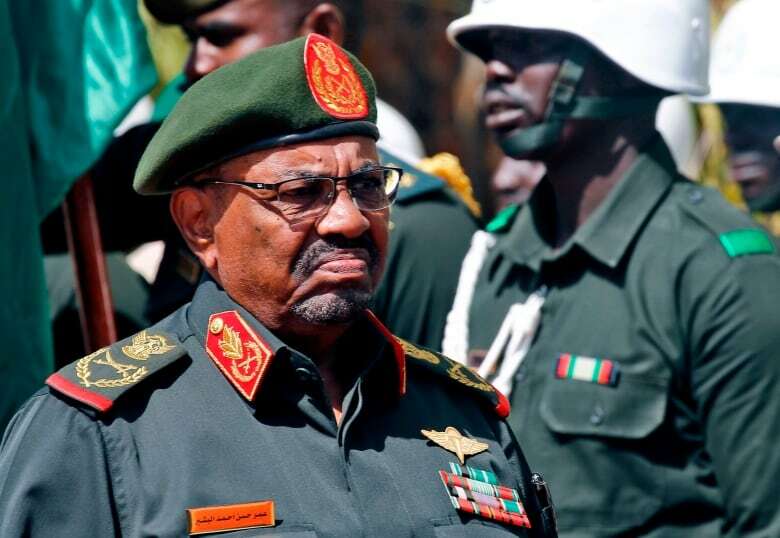 Sudan's main opposition groups have issued their first joint call for President Omar al-Bashir to step down, appearing at a news conference together for the first time since protests erupted across the country nearly two months ago. Sudan's main opposition groups on Wednesday issued their first joint call for President Omar al-Bashir to step down, appearing at a news conference together for the first time since protests erupted across the country nearly two months ago. At their first joint news conference Wednesday, the groups called for the government to step down to pave the way for four-year transitional governance followed by elections. 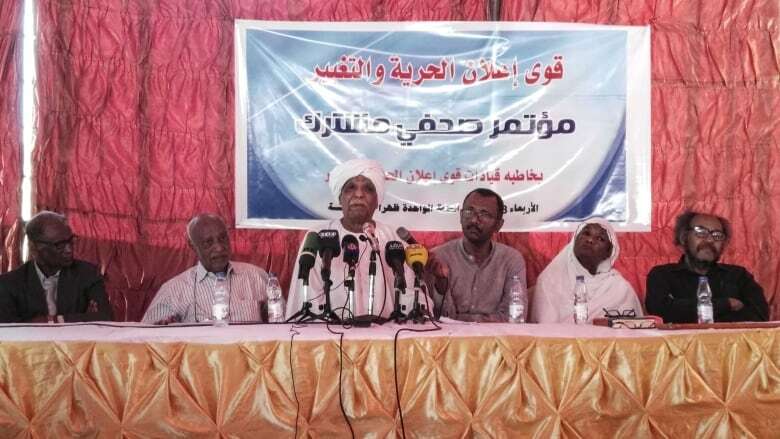 "We have decided on the program that would take place after the regime falls and [will] hold a constitutional dialogue conference at the end of the transitional period to decide how Sudan will be ruled," said Mohamed Mokhtar al-Khatib, the general secretary of the Communist party. Around 200 opposition members present at Wednesday's press conference chanted "Down, that's it!" — one of the main rallying calls of the protests. Bashir, indicted by the International Criminal Court in 2009 for genocide and war crimes in the Darfur conflict that killed tens of thousands, called for peace this week at his own rally in the capital Khartoum. Security forces have used tear gas, stun grenades and live ammunition to disperse demonstrators, and they have arrested hundreds of protesters and opposition figures. At least 40 people have been killed, according to Amnesty International. 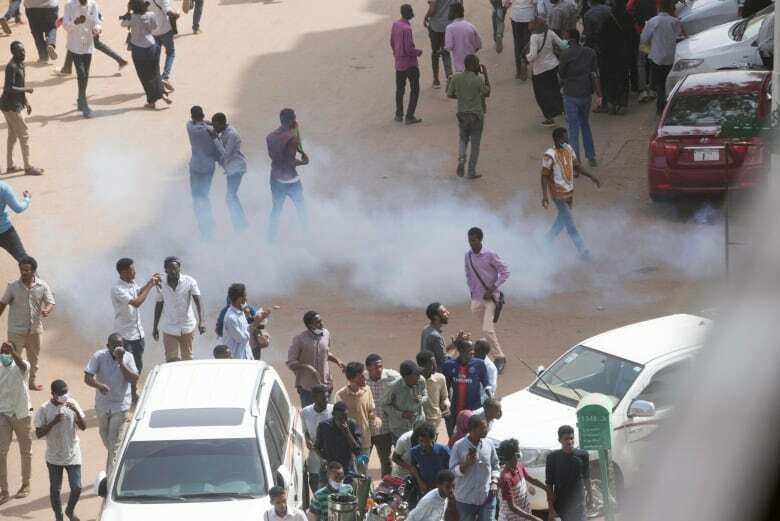 Activists, speaking to The Associated Press on the condition of anonymity for fear of reprisal, said Wednesday police arrested at least 14 academics who were among protesters the previous day outside Khartoum University. Their whereabouts are unknown, they added.